Why Is RoundUp Not Labeled as Carcinogenic? Chemical giant Monsanto’s herbicide, Roundup, has all but obliterated the monarch butterfly population.1 To be more precise, the Center for Food Safety has said that the monarch population has declined by 90 percent in less than 20 years! 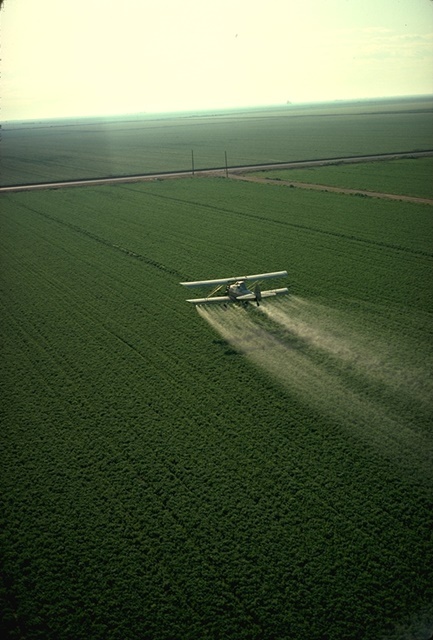 The evidence against Monsanto’s Roundup is mounting. Tell EPA Administrator, Gina McCarthy to follow the example of California’s bold leadership. It’s time to label glyphosate as cancer-causing and begin the process of imposing stronger regulations on the chemical. Glyphosate doesn’t just kill weeds. The chemical has also been linked to a rise in celiac disease, Alzheimer’s, obesity, cancer and others conditions.5 Despite these findings, the EPA still considers the chemical to be safe. This could have something to do with Monsanto’s corporate lobbyists and the company’s financial backing to fight against regulations like these for years. The benefits for Monsanto are not enough to justify the potential long-term risks glyphosate and Roundup pose to our health and the environment. Tell the EPA to label glyphosate as a known carcinogen.